I think Godzilla should be honored in Tokyo because: accept the residency certificate in Godzilla's place. he was born in the Pacific ocean because that was were they did nuclear testing. I think Godzilla should be honored in Tokyo because: accept the residency certificate in Godzilla's place. And I didn't know that was Godzilla is named from gorilla and kuzira(whale) are combined. I thought that made only Toho, but I didn't there is????? ?wood version.I want to know about Godzilla more! I think Godzilla should be honored in Tokyo because: accept the residency certificate in Godzilla's place. I didn't there was Hollywood version. Iwant to see that.And I didn't know about Godzilla are named by godzila and Kuzila(Whale) Are Combineed. Iwant to know about godzilla more. Godzilla is a popular character in Japan. 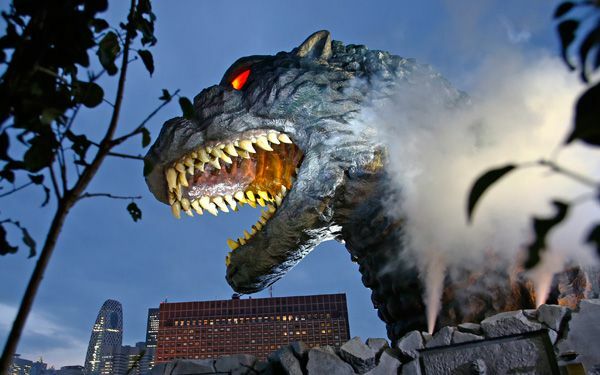 Such is his popularity, which in Shinjuku, one of the districts of Tokyo, has become a major figure in honor of Godzilla, and also to increase tourism in the area and throughout Japan. This paragraph is very interesting to me. Godzilla is a cult around Japan and recognized worldwide. Even my parents know it. 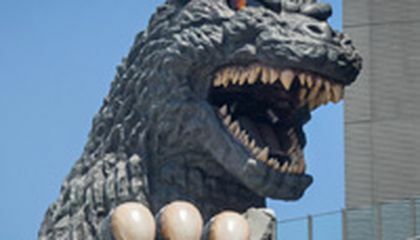 Surely now I want to travel to Japan and take a picture with Godzilla. According to the story of Godzilla, it was born as a result of genetic mutations in the Pacific Ocean. but it was kind of fun. What inspired them to make Godzilla?